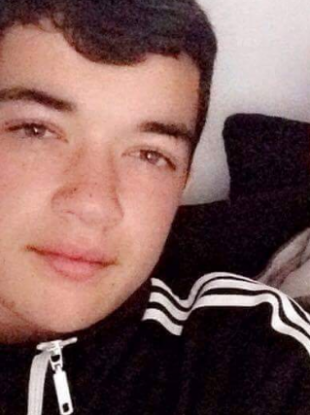 A MALE JUVENILE has been arrested this morning in connection with the death of teenager Reece Cullen, who died yesterday after being stabbed at a house in Tallaght. He was arrested shortly after 7am, and is being detained at Tallaght Garda Station. Local councillor Charlie O’Connor told Morning Ireland that the “very real” death of a young man in the middle of the afternoon of the holiday week would “of course have an effect on the community”. The 17-year-old was attacked in the Kilclare Crescent area of Jobstown at around 3.30pm. He was brought to Tallaght Hospital where he was pronounced dead. Family and friends of Reece have been posting their memories of the young man on Facebook, sharing his various interests. The Crumlin Boxing Club and Esker Boxing Club shared their condolences to the family and friends of Reece, along with some pictures of the teenager boxing. Local Fianna Fáil councillor Charlie O’Connor said repeatedly that this incident would “of course” have an effect on young people in Tallaght. He also said there seemed to be an increase in stabbing incidents. People shouldn’t be carrying knives and if you do, sometimes it’s about intent. People say they’re defending themselves and want to be safe but that’s not good enough. It seems too easy that people are being stabbed. If you have any information about the incident, contact Tallaght Garda Station on 01 666 6000, The Garda Confidential Telephone Line 1800 666 111 or any Garda Station. Email “Juvenile arrested in connection with stabbing of Reece Cullen”. Feedback on “Juvenile arrested in connection with stabbing of Reece Cullen”.